Autism Charity “As I Am” to hold 5km Charity Race. Last year we brought the story of local Ballyfermot man Michael O’Flanagan and the journey he has been on since his little brother Gavin was diagnosed with Autism. We noted that rather than being overwhelmed with such news, Michael and his family have embraced Gavin’s condition and committed themselves to demonstrating the positive side of Autism, and endeavoring to make life easier for those living the condition and their families. 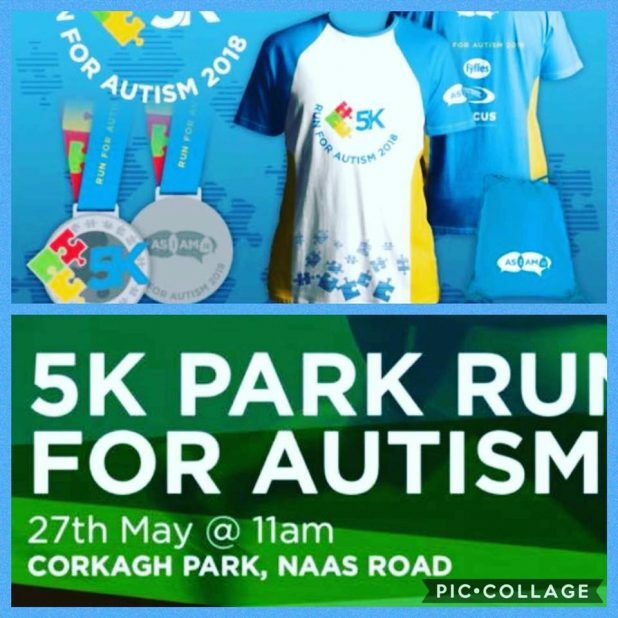 That is why this year Michael is one of the race organisers for As I Am’s 5k Run, taking place in Corkaigh Park on May 27th at 11am. The race is open to all, (runners, walkers and crawlers) and the money raised will go to ensuring that As I Am can continue its invaluable work. The entry prices are: €25 for Adults and €10 for Kids. If you cannot attend the main race, but still want to be involved you can “virtually” enter the race for €25 and run the 5k in your own time. Everyone that comes to the event will get a medal, a t-shirt and a goody bag.